If you have come across the word ‘kaizen’ before it will probably have been in the context of industrial quality control or personal development. “Kaizen” is a Japanese word that is usually translated as ‘improvement’, but it means more than that. The word has connotations of continuous, gradual, orderly and never-ending improvement, the willingness to constantly, relentlessly pursue improvement a small step at a time. The application of the kaizen principle is the reason why Japan’s economy was transformed after the Second World War. All workers were encouraged to make suggestions as to how quality and production could be improved, even by tiny, tiny percentages, but over time the effect of these tiny percentage improvements, applied consistently and built upon, transformed Japanese industry. 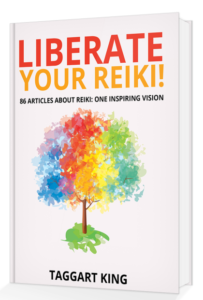 So what has kaizen to do with Reiki? Well the word kaizen actually appears towards the end of the Reiki precepts. The line in Japanese is “Shin shin kaizen, Usui Reiki Ryoho”, which could be loosely translated as “Mind body change it for better Usui Reiki method”. So when Usui was talking about using his system to improve the body and mind, I get the impression that we are looking at a lifelong commitment to work with the system, to focus the energy on ourselves again and again, long-term, in order to produce small incremental improvements within ourselves, to dedicate ourselves to developing our effectiveness as a channel. But small changes build on previous small changes, an enhancement upon an enhancement leads to amazing development over time. And Usui’s original system gives us the solid, concrete techniques that we can use to develop ourselves: as channels, in terms of spirituality and in terms of intuition, to produce our own individual Reiki Evolution! So how do we pursue our own kaizen of Reiki? 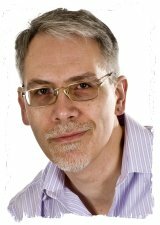 How do we apply the concept of continuous and never-ending improvement to our practice of Reiki? If you are serious about wanting to obtain the many benefits that are available to you through the Reiki system then you are going to have to work on yourself most days, ideally every day, and by doing so you will build up the beneficial effects of Reiki within you. It is not sufficient to use Reiki on yourself once a week, or to assume that if you treat other people occasionally then this is enough to give you the Reiki you need. Your first priority should be yourself, and this means daily energy work. This does not need to be an onerous task, nor does it need to take a long time to carry out. Sometimes we decline to use Reiki on ourselves because we do not have the perfect opportunity, perhaps because we do not have, say, 30 minutes to work on ourselves. Yet even 10 minutes of energy work, when carried out consistently each day, would be far better and produce much better results than doing nothing for days, and then a great big blitz for a big chunk of time on a weekend to try and ‘catch up’. Spending even a small chunk of time working on ourselves each day builds up a momentum and stirs changes which build and build. Sporadic practice leads to some beneficial changes, but you are not maximising your Reiki potential. So, how can we work on ourselves? Start your day with hatsurei! A good place to start would be to practise Hatsurei ho, a series of energy exercises taught in the Usui Reiki Ryoho Gakkai (the ‘Gakkai), an association set up after Usui’s death by the Imperial Officers who had trained with him for a while. ‘Hatsurei ho’ means something like ‘start up Reiki technique’ and consists of a series of energy meditations/ visualisations that focus on your Tanden (Dantien in Chinese) and which are designed to be carried out every day. We should also focus the energy more specifically on ourselves, on our own self-healing, by carrying out a self-treatment each day. Whether you carry out the Western ‘hands-on’ method of treating yourself, or use the self-treatment meditation that Usui Sensei taught, you should focus the energy on yourself on a regular basis to help bring things into balance for you on all levels, and to help you to release things that no longer serve you: mental states, emotions, physical things. The energy will deal with many aspects of your body/mind, many deeply-embedded imbalances, if we give the energy the opportunity to do its work on us, digging deep and chipping away at the ‘baggage’ that we carry, over time. We prefer to use Usui Sensei’s self-treatment meditation because it seems more intense and versatile, but all self-treatment approaches are valid. Usui’s Sensei’s system was all about spiritual development and self-healing, so Hatsurei Ho and self-treatment can lie at the very heart of your Reiki practice. You need to put yourself first, and the principle of kaizen means that by working on yourself consistently, great transformations are possible. You owe it to yourself to allow yourself to obtain the benefits that are available to you through Reiki. Training with Usui was rather like martial arts training, where you were in ongoing contact with your teacher over an extended period of time. Part of your training involved receiving simple spiritual empowerments from Usui Sensei, repeatedly, at all levels. Each empowerment reinforced your connection to the source, cleared your channel for the energy, allowed you to develop spiritually and enhanced your intuitive potential. 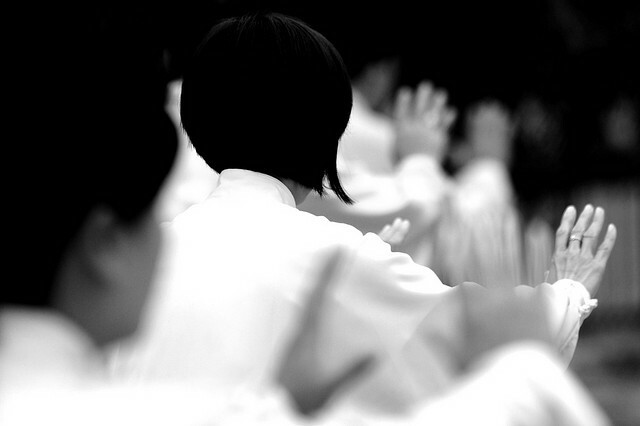 Regular Reiju isn’t necessary, of course: your Reiki ability will not leave you once you’ve been on a Reiki course. Receiving Reiju on a regular basis is optional, but a beneficial practice if you choose it. On each occasion that you receive Reiju you are given what you need, and as your needs change from one occasion to another, this simple spiritual ‘blessing’ helps you to develop. By receiving empowerments on a regular basis you are building momentum and allowing the energy to penetrate more deeply within you. Mikao Usui’s original system did not focus very much on the treatment of others, and any instruction on treatments would not have involved slavishly following a set of ‘standard’ hand positions that you had to apply to everyone you treated. Usui’s method was simpler and more elegant. You allowed the energy to guide your hands to the right place to treat, different from one person to another, and different within the same person from one treatment to another. The way we teach our students to do this is through a ‘technique’ called ‘Reiji Ho’ (indication of the spirit technique’), a way of emptying your mind and merging with the energy, getting your head out of the way to allow intuition to bubble to the surface. The exciting thing about Reiji Ho is that it works for everyone, and with time – we come back to kaizen’s small incremental improvements – your hands will move more quickly, more consistently, more effortlessly, and you will start to attract more intuitive information. So every time we treat someone we should spend time cultivating our ‘Reiji ho’ state of mind, and gradually, gradually, we develop. …that you are introduced to at Second Degree and Master levels. Usui’s system didn’t involve symbols as far as most of his students were concerned. Students were expected to carry out meditations over an extended period of time in order to learn to experience different energies and, at Second Degree, students were introduced to the energies of “earth ki” and “heavenly ki”, which represent two fundamental aspects of our being. By practising ‘becoming’ earth ki and heavenly ki again and again – a powerful self-healing practice – these energies became so familiar to the students that they could ‘connect’ to the energy direct without having to use a prop like a symbol. Usui provided some Shinto mantras for some of his students to use to invoke the energies, but it was possible to move beyond these mantras with time, too. In my article ‘A Simple Way with Reiki Symbols’ I describe a meditation that you can use to ‘become’ these energies. But again we see that to obtain the greatest benefit, to enhance self-healing, to free up our practice and move beyond symbols, takes time and commitment. A quick meditation carried out a few times is not enough: Usui Sensei’s students spent 6-9 months meditating on just one energy, and this was done because the principle of kaizen – plugging away and developing by small amounts again and again – led to deep changes over time. Usui’s simple principles to live by offer perhaps the best example of the principle of kaizen in our Reiki practice: Usui Sensei’s precepts are a work in progress. They are not something that you read through and think “OK, got that”: the precepts are simple to read and understand but they are something that you drip-feed into your daily life over time, more and more over time. To fully embrace Usui Sensei’s spiritual principles takes regular reflection and ongoing thought. On an ongoing basis we consider our thoughts and our behaviour, we reflect on the principles and what they mean to us. If we do this then over time we will find that living the precepts becomes easier, that our behaviour is modifying itself, that there are more permanent changes in the way that we react and behave and relate to other people. But this will only happen if we ‘chip away’ at our current behaviour patterns, using the precepts as our guiding light. There are no quick fixes: the precepts are not just for First Degree. The precepts are the essence of our Reiki practice. If you would like to explore the precepts in more depth, I recommend that you carry out “Precepts Rehearsal”, a method that I created, and you can read all about Reiki Precepts Rehearsal here. We should remember that we do not need to be perfect, we do not need to beat ourselves up for not applying each and every principle on all occasions, but by dedicating ourselves, and by forgiving ourselves, and by trying to do a little better each day than we did the day before, we transform ourselves. That is the key to our kaizen of Reiki: dedication and commitment, patience and forgiveness, and openness to the source.